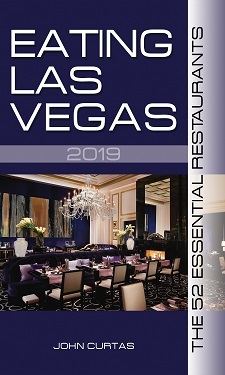 We’ve just had our 3rd outstanding meal in less than a year at Pinot Brasserie — Las Vegas’s most underrated restaurant. Over the past year or so, we’ve taken to calling PB an under-appreciated jewel in our crown of restaurant gems, and nothing we’ve tasted lately has dissuaded us from trumpeting the excellence of the cooking on display here. Eating Las Vegas thinks L’huillier (pronounced Loo-WEE-lee-ay) would be a perfect fit at a place like Tableau in the Wynn or Marche Bacchus — places in need of some real talent (and stability) in the kitchen. Of course, they’d have to pay him a boatload of money. But he would be worth it. Because the man knows French cooking like I know alimony. Tableau is looking for a new executive chef right now…I think he’d be a perfect fit!